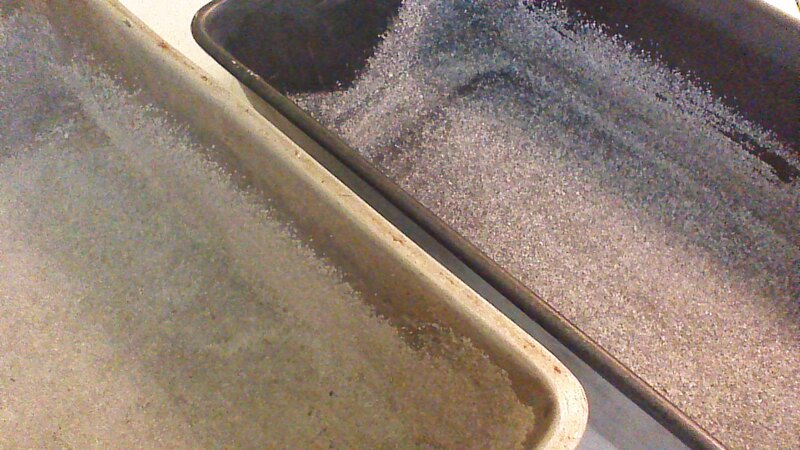 Step 1) Grease two bread pans and “flour” using granulated sugar. This adds a wonderful flavor to the bread, and actually allows us to use less sugar overall, because some of the sugar is concentrated on the outside of each slice. Step 2) Mix together pureed tomatoes, almond extract, oil, applesauce, and eggs. Add sugar and stir until well combined. 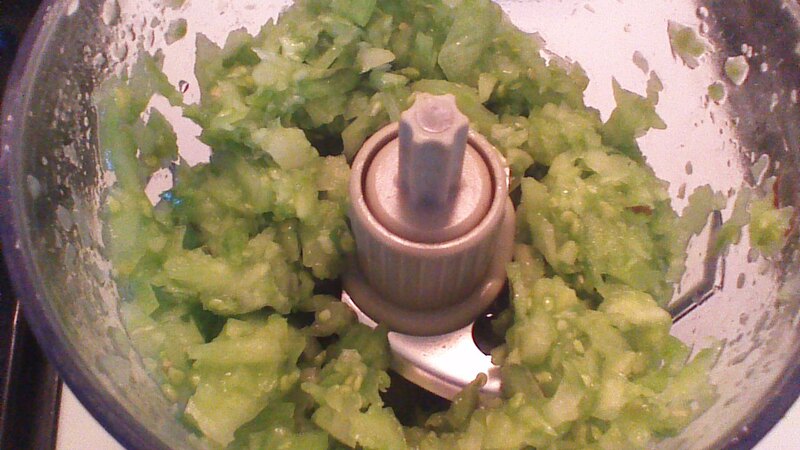 Step 3) Add remaining dry ingredients, a little at a while, until all ingredients are incorporated. The batter will be pretty stiff, and that’s OK. As the bread bakes, any little chunks of tomatoes will release liquid, and your bread will not be dry. 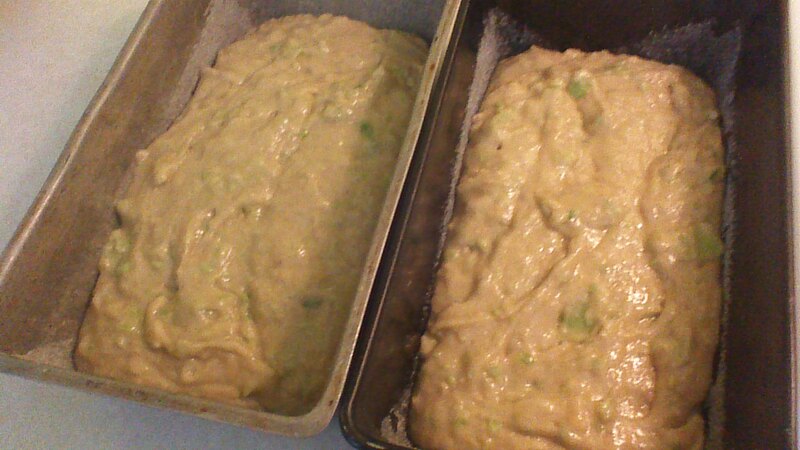 Step 4) Bake loaves in a preheated 350 degree oven for 50 minutes to 1 hour. Bread is done when a toothpick inserted near the center comes out clean. This bread freezes wonderfully – just cool and wrap in foil. When thawed, it will taste as good as fresh. Slices of this bread are delicious packed in school lunches! 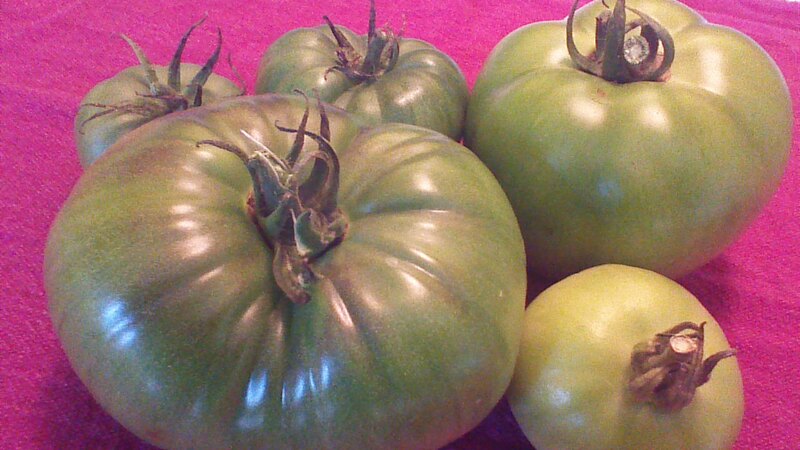 This entry was posted in baking and tagged baking, bread, Cooking, Food, Garden, Homesteading, Recipes, tomatoes. Bookmark the permalink. Very interesting, i have never seen a recipe like this one before. 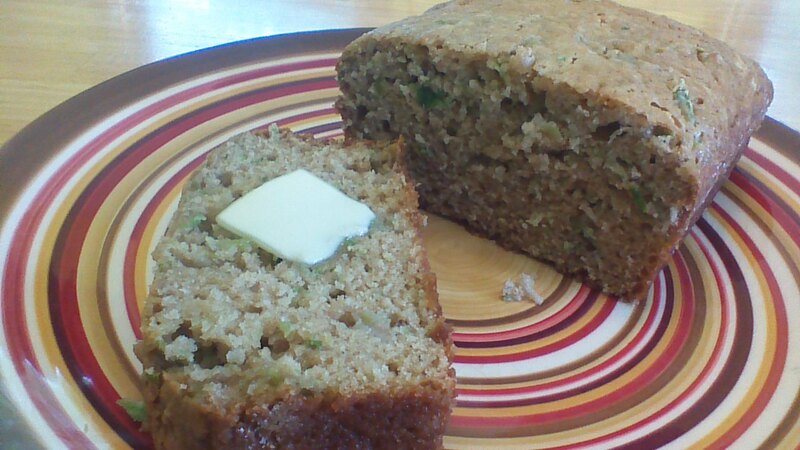 It’s really delicious – my kids love it, and STILL love it even after they discovered how it’s made!